Why is that? Because it violates the Sixth Amendment that guarantees that those who are accused of wrongdoing have the right to confront their accuser. 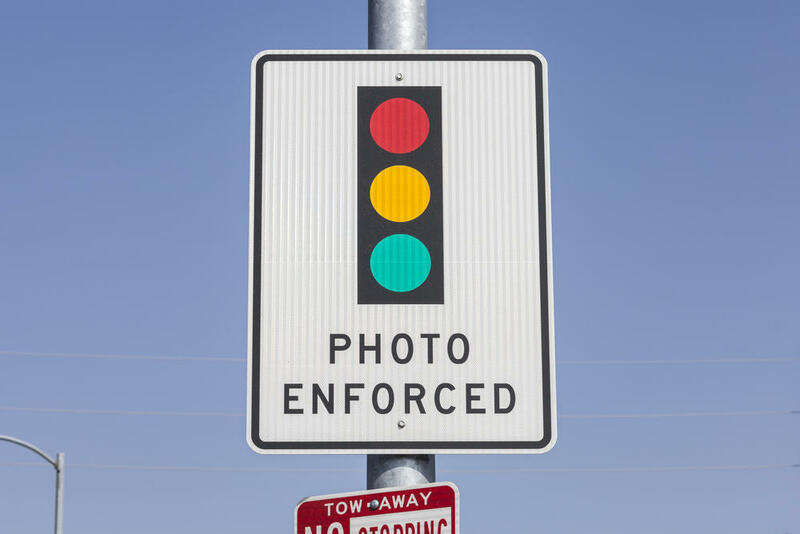 John Faulkner wrote this, in part, to the Amarillo Globe-News in a letter to the editor: A red-light camera photograph is hearsay, and is therefore inadmissible under the Sixth Amendment. It is hearsay because you cannot cross examine the photograph or the camera. The Sixth Amendment gives defendants the right to confront their accuser. Sigh. Actually, it is not “hearsay.” This equipment provides physical evidence that someone has run through a red light when he or she is supposed to obey its “instruction” to stop and not proceed until the light turns green. Furthermore, the city grants accused red-light runners the opportunity to appeal the fine levied against the alleged lawbreaker. Thus, a defendant is granted the right to face his or her accuser. The constitutionality argument is funny, except that I ain’t laughing. The Texas Legislature granted cities the authority to install these cameras. It attached some provisions on it, such as requiring cities to devote revenue collected strictly to traffic improvements. The attorney general’s office is full of bright legal minds who can determine the constitutionality of laws the Legislature enacts. City Hall also employs a legal team that ensures its ordinances pass constitutional muster. So, let’s toss aside this silly argument. The red-light cameras are doing what they are intended to do. They are deterring some motorists from misbehaving while they travel along our busy streets. Not all of them, for sure. I remain a strong supporter of this technology. It works.